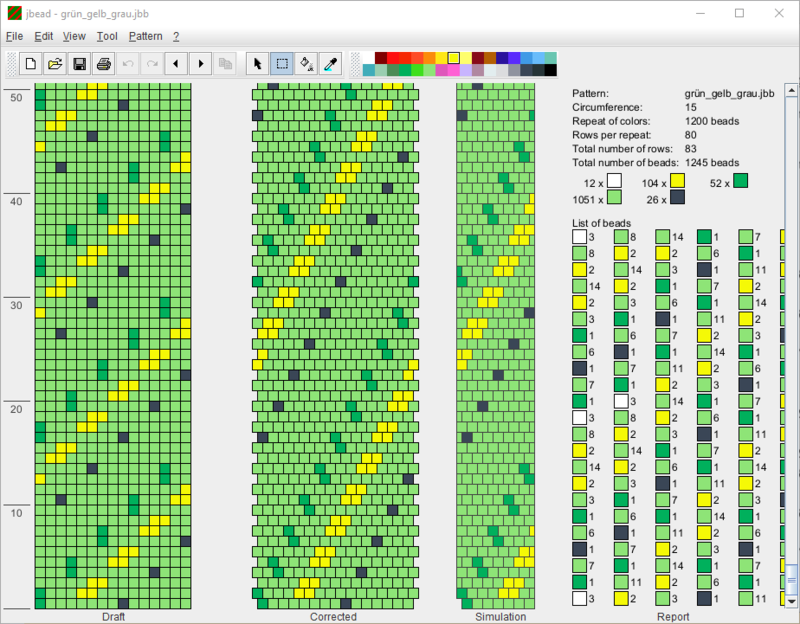 The jbead software (successor to the DB-BEAD software) is a bead rope crochet design software. It is free to download and use. As open-source software, it is released under the GPLv3 license.